The pictures don't do it justice. This is my first custom stick based on the TMO/Norris design. 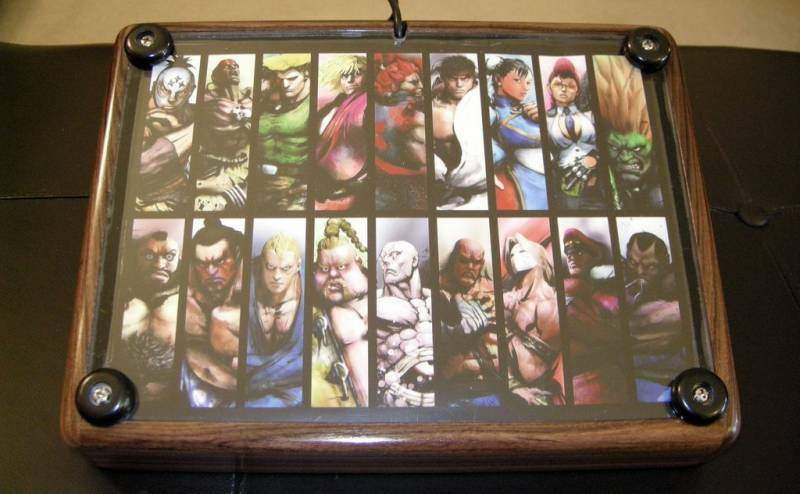 I decided to keep the beauty of the Zebrawood for the top of the stick, but add Street Fighter IV art to the bottom. Sanwa stick with Seimitsu buttons. Madcatz/Gamestop 360 PCB.